We’ve created this comprehensive guide to answer your matched betting faqs and help you get started with this brilliant money making technique. This is undoubtedly one of the most popular questions so we’ll come to it first. No risk matched betting is a betting technique in which individuals take advantage of bookmakers’ free bets and promotions. By ensuring that we cover all outcomes, matched bettors can guarantee a profit from these bonuses. How is matched betting risk free? Matched betting is based on a proven strategy. When followed correctly this process is 100% risk free. With those two bets we’ve covered all outcomes. No matter what the result is, these two bets cancel each other out and we break-even. 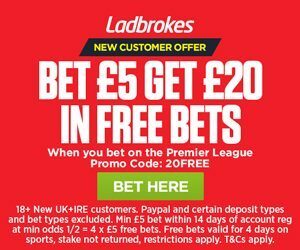 Now we have access to our £20 free bet. How profitable is this technique? Most matched bettors earn about £500 each month. However, more experienced bettors can make up to £1000 per month. This process is incredibly profitable, but as with anything it depends on the amount of time you invest. Obviously the more, the better. Furthermore, all of our winnings are completely tax free which is another benefit of no risk matched betting. Who is matched betting for? Matched betting is for literally anyone looking to make money online. For those of you outside the UK, check out our dedicated article. This method typically suits those who need to earn some extra money but don’t have a lot of spare time. Students and stay at home parents typically find matched betting very effective. However, there are individuals from all walks of life taking part. Do I need to know anything about betting? Here’s another frequently asked matched betting question. Many of our members start out knowing nothing about betting or the industry altogether. With expert tutorials walking you through step by step and first class customer support, you’ll soon get the hang of the method. Do I need to follow sport? 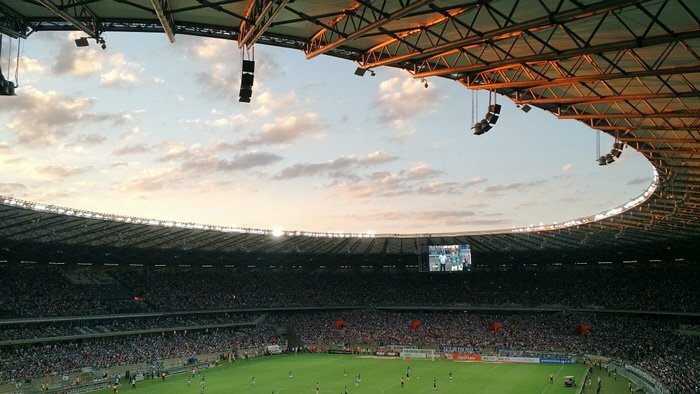 Following sports is not necessary but may help with your matched betting. In general, we ignore what market we place our bets on as we’re more interested in the odds available. Having said that, many members find watching sport increases the enjoyment of matched betting and inspires them to complete more offers. How much time does matched betting take? The answer to this question depends on how many offers you’re looking to complete and ultimately how much money you want to make. However, once you’re up to speed it takes roughly 5-10 minutes per offer. That means most matched bettors spend about 1 hour per day completing the latest offers. Obviously this goes up on match days as there are typically more offers available. As with most things, when you first start out it may take a little longer. You want to ensure you’ve got everything right and that you make no mistakes. Are there any risks involved with this method? As we mentioned earlier, matched betting involves no risk. We follow a proven strategy to ensure nothing is left to chance. Furthermore, not knowing the correct strategy is a big risk. This is where matched betting services like The Sure Bettor come in. With expert tutorials designed to guide you from start to finish and outstanding customer support, you’ll be a matched betting pro in no time. How much money do I need to start matched betting? We recommend you have around £200 to start matched betting. You can start with less, but your progress will be comparatively slower. The larger the amount, the more money you can make more quickly. It’s important to add, you recoup your initial outlay in your first offer. A greater starting balance just allows you to complete more offers at the same time. For more information on how much money you need to get started check out this article. You can place your matched bets on any sport or event for which there is a betting market available. However, sports with large, established betting markets usually offer better returns as bookmakers tend to run more betting promotions. Football is the easiest sport for beginners to place bets on as the odds are usually very stable. Horse racing is for those who are a little more advanced. Read our article on the best sports for matched betting to find out more. How can I track my matched betting? Tracking your matched betting is one of the most important aspects of a successful strategy leading to long term success. Keeping organised is a must with this money making technique. You’ll need to keep a note of all your bets and the amount of profit you make from each offer, to name just a few. In the past, this was a slow and manual process, however, matched betting has moved on. Members now have access to The Sure Bettor’s very own Tracking Plus feature, a built in profit tracker that records all of the most important matched betting data for you. Check out our article on tracking your matched bets for more information. Where do I find the latest offers? When matched betting on your own, you’ll have to manually search the bookies’ websites for the latest offers. This is a time consuming process which eats into your overall profit. That’s why it’s a great idea to sign up to a matched betting service like The Sure Bettor and let us complete this process for you. We have a brilliant team of matched bettors constantly on the lookout for the latest offers. Once a new offer is available, we upload it to our members area along with a step by step tutorial to help you maximise your profit. What do I do if I’ve made a mistake? Depending on where you’ve made a mistake there are number of ways you can resolve the situation. If you’ve made a mistake with your back (bookie) bet you can use a betting exchange to place a lay bet and offset the back bet. You can work this out using our matched betting calculator. With some bookmakers you’ll also have the option to use the cash out feature which can be helpful when resolving mistakes. Pro tip: Always place the back bet first. mistakes with back bets are far easier to resolve than lay bet mistakes. I’ve run out of sign up offers, what next? As many sign up offers as there are, there will come a point when you’ve completed them all. You can find out more about reload offers in this section. Is it a get rich quick scheme? If that’s what you’re looking for, matched betting isn’t for you. However, if you want to make an extra £500 each month this method is definitely one to consider. A back bet is a traditional bet placed on a certain team or person to win an event. The type of bet you might place with your mates. In terms of matched betting, this is the first bet we place in order to unlock a free bet or promotion. A lay bet is the opposite of a back bet. We place this bet on a team or person NOT to win an event. We use this bet to make matched betting risk free. Place these bets at a betting exchange. Check out this article for more information on back and lay betting. A betting exchange is an online marketplace where gamblers can either bet for (back) an outcome or bet against (lay) an outcome. In matched betting, we use betting exchanges to place our lay bets. Read our introductory guide to betting exchanges to find out more. Reload offers are the day to day promotions the bookies use to incentivise existing customers to keep betting. Unfortunately, there will be a time when you run out of sign up offers. That’s when you need to turn to reload offers. Reload offers are where you can make a long term profit with matched betting. Our team are always on the lookout for the latest reload offers. Furthermore, we regularly update the members area when new promotions are available. Liability is the amount bettors stand to lose at the betting exchange should the back bet win and the lay bet lose. We need to have this amount in the exchange account before placing any bets. You can find the liability amount in the results section of our matched betting calculator. What is arbing in sports betting? Arbing is a process of placing two or more bets simultaneously, in the knowledge of making a guaranteed profit. It’s a technique based around mathematical calculations rather than chance. This is a very popular question regarding matched betting, mainly because this technique can sometimes seem too good to be true. However, matched betting is 100% legal. There’s nothing illegal with matched betting. We’re simply taking advantage of bookies free bets and offsetting them with another betting company. There you go, that should resolve any doubts. Matched betting is not a scam. It’s a proven way to make a great second income online. No risk matched betting receives praise from a number of well regarded media outlets such as The Guardian, The Telegraph and The Huffington Post to name a few. Will matched betting harm my credit score? There is no affect on your credit score if you deposit funds at a gambling site, as long as you have the money. We don’t advise depositing borrowed funds as this could lead to a lower credit score. For more information on this check out this article at www.credit.com. What is The Sure Bettor? The Sure Bettor is an online membership service teaching people how to profit from matched betting. 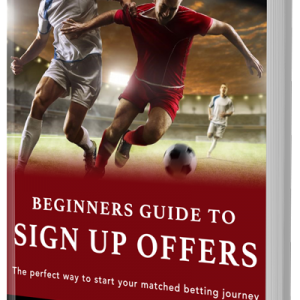 Exclusive member resources take you from beginner to matched betting pro in no time. If you’re a member you can visit the support desk where one of the team will be more than happy to help. If you’re not yet a member you can either use the contact us form or email us directly at support@thesurebettor.com. Can anyone use the matched betting calculator? Yes, our matched betting calculator is free for anyone to use. You can find more information on how to use our betting calculator below the tool. How can I record an offer in my account? You can record an offer by scrolling to the bottom of the offer page and pressing Record Offer. From there enter the required information and press Complete. The offer will then remain in the completed section of your offers. You can change your password by going to Account, Your Account. From there click on the Change Password link. Enter your new password and click on Update Password. I’ve forgotten my password! Can I get a new one? Sure, you can set a new password by going to the Login page and clicking on Forgot? Simply enter your username or email address and you’ll receive a link to create a new password. Check in your spam or junk folder if it doesn’t appear in your main inbox. You can change your email address by going to Account, Your Account. Then click on Edit Information. Enter your new email address and click on Update Information. This is something we often refer to in our blog posts and pages. It refers to the pages where we add and update the latest matched betting offers. You can view these pages by logging in and clicking on the Offers tab in the main menu. Note, these pages are only available to premium members. That’s it for our matched betting faqs. If you come across something you’re not sure of, get in touch and we’ll get back to you as soon as possible. In the meantime, if you’re not already a member why not sign up for a matched betting free trial? We’ll see you on the inside very soon.